This week Just Add Ink have a colour challenge for you, these are 2 of the lovely new "In-Colours" Pool Party & Calypso Coral, 2 of my absolute fav's.....Yummy aren't they! This was such a joy to make, the stamp set l used is "Field Flowers" and l even pulled out the sewing machine, not something l do very often. I coloured the Basic Pearls with a Co-Ordinating permanent marker and distressed the edges to soften the overall look. l really like how this turned out and am now considering using this design for my Regional swaps. Couldn't resist playing with the inside too! Jump over to Just Add Ink and be inspired by the lovely creations from the Design Team.
" Thanks for stopping by"
These little butterflies from the SU set "Kindness Matters" are so sweet and dainty & make a perfect accent without taking over your project. Some simple stamping, scoring & colouring and it was done, perfect for making a card in a hurry, l used Stampin-Up markers and blender pen to colour the images, added a little Dazzling Diamonds to give it some sparkle. All Products used are Stampin Up. After the Rain............Another quick post. This sweet little image was one l purchased recently at a Papercraft show and was perfect for a card l wanted to make for someone special. I coloured the image using Copic Markers, the image and border punch are Non-SU, but all cardstock, DSP, ribbon, inks and crystal effects are Stampin-Up.
" Have a lovely Day" & thanks for stopping by! A quick post from me today, just to share a couple of lovely little projects cased from the current Stampin-Up Catalogue, there are always so many cool ideas to be inspired by....just not enough hours in my day! Both of these projects were heaps of fun to make and fairly quick too! How cute are those flowers! I used the Scallop Circle punch for those and folded them into 1/4, using mini glue dots to hold them in place, then l carefully folded each petal into position to form the flower shape.
" I hope you enjoyed my super quick post, thanks for popping in"
Now l have to say these are the cutest Die cuts ever......"Stampin-Ups" new Petite Envelope Die, l was very excited to get my hands on this after getting a "Sneak Peek" at Convention. I also used the new Frames Embossing folders and teamed them up with a lovely little stamp set called "Kindness Matters". 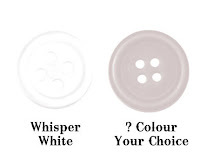 The second one is another new In-Colour called Wisteria Wonder...very pretty! and if you look closely you can see the Co-Ordinating "Designer Printed Brads" available in all of the new In-Colours. All products are Stampin Up. "Thanks for stopping by" & enjoy your day! I really wanted to use the Precious Butterflies set found in the Hostess promotion section of the Stampin-Up Catalogue. My colour combo is Cherry Cobbler-Basic Grey & Whisper White, l have also used the Striped Embossing folder on all layers to give it a little texture, added a little bling and it was done! Over-all a fairly Clean & Simple look I think! All products used are Stampin-Up. Head over to Just Add Ink and be inspired, the rest of the DT have done a fabulous job with this weeks challenge. "Have a lovely weekend & thanks for stopping by"
Well the time has come l think, Christmas is not so far away and with so many wonderful ideas to create, l thought it was about time to actually start doing them........ I'm hoping to do a regular weekly "Christmas Post" That way l will make myself post more often and get a head start on all those Christmas items l need to make! The gift tags were made using Stampin-Ups "Two Tags Die"
For the Giftboxes l used the Petal cone Die and a retired one, called the Petal card Die, both of these make a reasonable size gift box and being able to use the oval embossing folder on the fronts was a bonus, very happy with that discovery! The other products l used were the Petals-a-plenty emb/folder, Cherry Cobbler seam binding, the decorative label punch, Tags till Christmas stamp set, 3/4" circle punch for the Berries & Holly. "thanks for stopping by" & dont forget to pop back for the next Christmas installment. This week over at Just Add Ink we want you to Just Add "BABY", this lovely idea was put forward by Patrice Easton one very inspiring and talented lady! I decided to dig out my very un-loved owl punch and put it to use along with the colour combo of Blush Blossom and Whisper White. Pretty cute isn't it? even if l do say so myself...lol. I also put together this little cutey using the Pillow Box Die. And also one for the "Boys"
Pop on over to Just Add Ink and be inspired by the wonderful DT. "Thanks again for popping in" & l hope you have a fabulous weekend. I wanted to make a card for a friend that has just found out her Cancer has returned and needs to have more Chemotherapy, so I'm hoping this will cheer her up a little, being such bright & happy colours. The images are from a new Stampin-Up favourite "Field Flowers" & the sentiment inside is from the "Word Play" set, the front sentiment is from another new set "Hand Penned". I used the Lattice Embossing Folder on the front panels & the Decorative label & lge Oval punches for the Sentiment. Just a quick post to share a couple of other little gift cards made using the lovely new "Four Frames" set and co-ordinating punch. This sweet little card is a "Case" of one featured in an SU promo awhile back. On this one l used Night of Navy & Always Artichoke cardstock & Night of Navy DSP put through the Bigshot using the Lattice Embossing Folder, the Tag image is from the Four Frames set & l added the berries from Clearly for you. This one uses Soft Suede & Naturals Ivory Cardstocks, with the Top Note Die & Blossom & Vine wheel. I used my SU Markers & a blender pen to colour the images on the top 2 cards.
" Thanks for popping in" and have a lovely day! 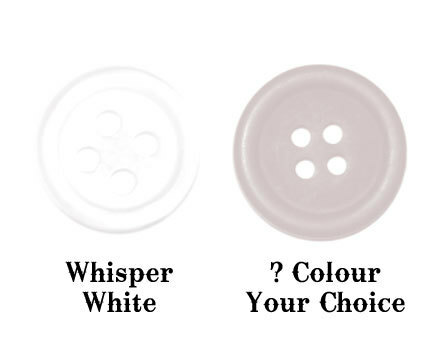 We ask that you use "WHITE" and one other colour of your choice, how's that for easy! 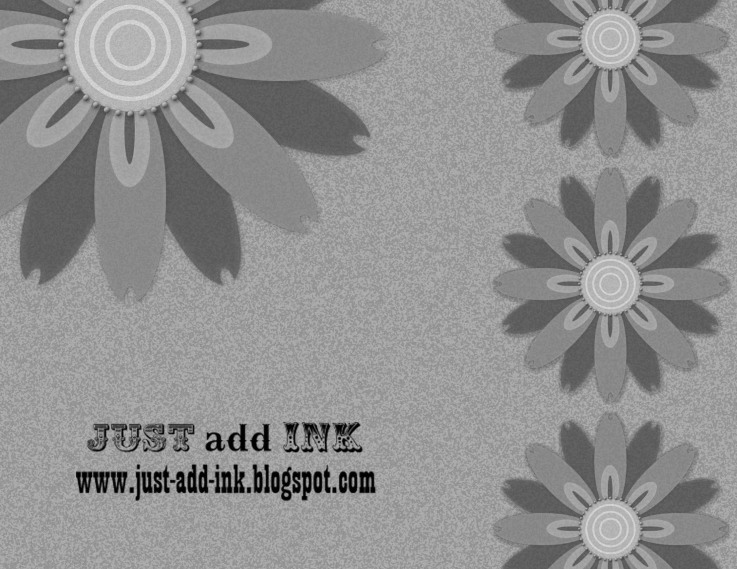 Check out the awesome designs from the rest of the DT at Just Add Ink and l hope we can inspire you to play along. As you can see l went extremely "Clean & Simple", my added colour of choice is Marina Mist. I also used the Multipurpose adhesive sheet with Dazzling Diamonds for the butterflies, cut out with the beautiful wings embosslit. "Thanks as always for stopping by"
This week over at Just Add Ink we have an awesome "SKETCH CHALLENGE" provided by Bronwyn Eastley and boy the DT have come up with some fabulous projects, pop over to Just Add Ink and check out them out, hopefully you will be inspired to play along too. I have been wanting to make one of these since forever and as it loosely fit the sketch l decided why not! Using the awesome new DSP Paisley Petals from Stampin-Up as my colour combo, l stamped, clear embossed and fussy cut the flowers from another new product the "Creative Elements" stamp set we received at Convention, l stamped and punched the leaves using yet another new one "Build a Blossom" punch and stamp set. All of these are available as of September 1st. 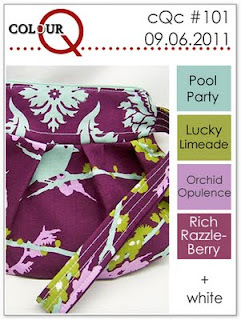 All products used are Stampin-Up and are available now in the new 2011-2012 Catalogue. "Thanks for stopping by" & l hope you have a great day!